The speculation surrounding the future of Brendan Rodgers has intensified in recent weeks following Liverpool’s slow start to the season and struggle to get passed league 2 opposition Carlisle in the Capital One Cup. Unfortunately for Rodgers with Klopp and Ancelotti out of work it seems he well and truly has a noose around his neck, especially after Klopp has come out declaring his interest in managing in the Premier League. It would appear the easy option would be to replace Rodgers with either Klopp or Ancelotti but this would go against how the Liverpool owners Fenway Sports Group have conducted business in the past. This is the man who nearly took Liverpool to the Premier League title two years ago. Results and signings have been indifferent since then and the loss of Suarez proving to be the biggest void to fill. 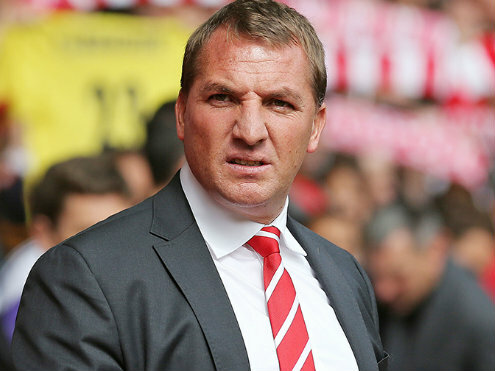 Should Rodgers be lucky to remain in his position or should he be allowed more time to build his squad? He has spent £210m in the last three seasons trying to find that formula that was so near a couple of years ago. What should be questioned is the recruitment process at Liverpool, when Luis Suarez was sold to Barcelona for £75m eight players were bought in with the money. Of those eight players three have moved on either on loan or permanently and the remaining five struggle to hold down a regular place. Some of the signings have been questionable given the form shown by Dejan Lovren and the signing of Mario Balotelli and you might struggle to find a player deemed a success. Adam Lallana came with a big price tag and injuries restricted his playing time whilst only Emre Can can really hold his head high. What has been a positive for Liverpool are the players that were at the club when things were going well. Martin Skrtel has been ever present and the consistency and improvement shown by Jordan Henderson and Philippe Coutinho has been a major success. The development of Jordon Ibe shows great promise for the future. The main issue has been the inability to blood new signings. 12 months on a similar story begins to unfold. Manchester City spend £49m on Raheem Sterling and in come another influx of eight players. This time a more attacking approach was decided with the signing of promising Brazilian Roberto Firmino and two Premier League strikers in Danny Ings and Christian Benteke. The Liverpool fans are becoming increasingly frustrated with Rodgers and no win in six games in all competitions has only ramped up the pressure. The timely return of Daniel Sturridge could help turn results around with a winnable game against Aston Villa to come this afternoon. I think Rodgers should be given more time to turn things around at Anfield but what is clear is the Liverpool fans expect success, and it remains to be seen how long they are prepared to stand by him with Klopp and Ancelotti potentially waiting in the wings.